Simon leads our Property Litigation team and personally specialises in asset management and corporate real estate including development and joint ventures, recoveries, rent reviews and valuation, rating, rights of light and party wall matters, professional negligence relating to real estate, planning and environmental related litigation and investment transactions. Simon’s expertise includes working with major financial institutions, PLCs and national charities, as well as private individuals. As a property dispute specialist, much of his experience is in advisory roles before and after completion. Simon has experience of resolving disputes through litigation, arbitration, expert determination and mediation. He is an Arbrix accredited mediator. 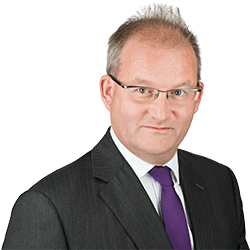 Simon joined Clarke Willmott in March 2013 after being a partner at Wedlake Bell LLP for ten years where he was the leader of the firm’s property group and member of the firm’s board. Prior to that he worked for Gouldens (now Jones Day) having trained at BLP.